Reminiscent of the previously held Rajya Sabha polls in Gujarat, the elections for one seat in Uttar Pradesh went down to the wire with BJP winning the seat after counting of second preference votes. BJP's masterstroke of fielding an extra candidate, Anil Aggarwal, for the 10 seats in the fray paid handsome returns after the party went on to win the ninth seat which has dealt a major blow to the opposition bonhomie in the state. There was also last minute drama in Jharkhand, with the returning officer denying the election certificate to the victorious Congress candidate Dheeraj Sahu amidst allegations that he was acting under pressure. The elections for the 10 seats in Uttar Pradesh was full of dramatic twists amidst reports of cross voting, delay in counting and votes being deemed invalid by the Election Commission. 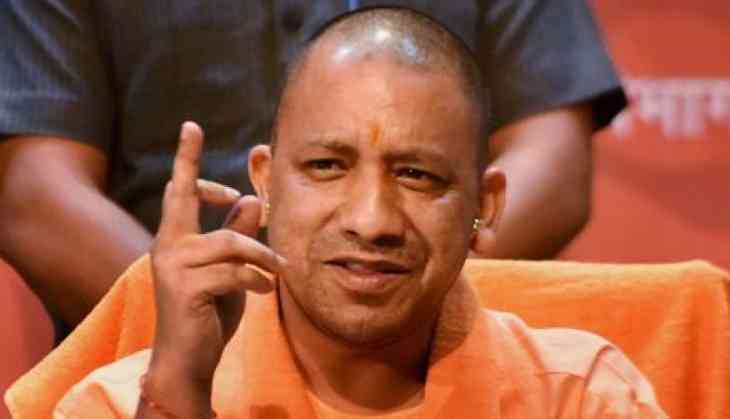 This victory has come a massive morale booster for the BJP that faced an embarrassing defeat at the hands of SP-BSP combine in the recently held Lok Sabha bye-polls in Gorakhpur and Phulpur. These two seats were vacated by UP chief minister Yogi Adityanath and his deputy Keshav Prasad Maurya respectively. Having turned these elections into a prestige issue, BJP used all tricks to usurp a victory and deny BSP's BR Ambedkar from winning the ninth seat. If Ambdekar would have won, it could have sealed the deal of an alliance between SP, BSP and Congress in the run up to the 2019 Lok Sabha elections. It remains to be seen whether BJP's victory has dealt a blow to this new found bonhomie between the two arch rivals or if has further strengthened it. Despite the setback, the Opposition could take comfort from the fact that there was no cross voting from the Samajwadi Party's side, besides Naresh Agrawal's son, Nitin Agrawal which was only to be expected after the father-son duo's defection to the BJP. The Congress, too, cast its votes entirely in favour of the BSP candidate. The only other defections came from BSP MLA Anil Singh and the sole Nishad Party MLA. In UP, BJP was expected to win eight on the 10 seats with SP assured of bagging one seat for party candidate Jaya Bachchan. According to a deal struck earlier, SP and Congress had decided to vote in favour of BSP candidate and if it wasn't for BJP's ninth candidate, Ambedkar would have easily sailed into the upper house. However, BJP thwarted their plans and yet again put to use all its trickery to ensure a victory for its candidate. The defection of Singh and Agrawal was just the beginning in the series of dramatic twists that kept everyone guessing. Once the two parties realised that their legislator had indulged in cross voting, they approached the Election Commission claiming that their votes be declared invalid since they did not show it to the polling agent. This led to counting of votes being stopped for some time. Thereafter, the EC examined the CCTV footage of the two legislators casting their vote and realised that the duo did falter in adhering to the voting process leading to their votes being deemed invalid. Though even this didn't help the Opposition win, it must have given them solace on how they managed to get the two votes invalidated. Once the crisis was resolved, counting resumed and it was later announced that BJP's Anil Aggarwal had defeated Ambedkar. Reports suggest that Ambedkar got only 32 votes, five short of the required 37 votes, while Aggarwal got 16 votes in the first round. This led to EC counting of second preference votes which threw Aggarwal as a clear winner. Among those who won along with Aggarwal from UP included Union finance minister Arun Jaitley, Ashok Bajpai, Vijaya Pal Singh Tomar, Sakal Deep Rajbhar, Kanta Kardam, Anil Jain, Harnath Singh Yadav and GVL Narsimha Rao. Meanwhile, elections for the Upper House were held for 25 seats in six states which were nearly as dramatic as the one witnessed in UP with counting being stopped in some states after various parties approached the EC over objections in ballot papers. Once the final results were declared, BJP managed to win 28 of the 59 seats that went to polls. For the 59 seats that fell vacant, 33 candidates, including several Union ministers, from 10 states were elected unopposed leaving 26 seats for which polling began on Friday morning. These 26 seats included 10 from UP, five from Bengal, four from Karnataka, three from Telangana, two from Jharkhand and one each from Kerala and Chhattisgarh. Apart from these, those elected unanimously include candidates from Gujarat, Maharashtra, MP, Bihar, Andhra Pradesh, Himachal Pradesh, Odisha, Rajasthan, Haryana and Uttarakhand. BJP's decision to field extra candidates in states where it was a close contest added much spice to these otherwise routine biennial elections. In fact, counting was stopped in Jharkhand and Karnataka after political parties raised objections to certain individuals not adhering to the due process ascribed by the poll body. In Jharkhand, the drama continued late into the night with Congress leaders headling to the Chief Election Commissioner's residence to complain against the return officer's alleged refusal to grant the certificate to its winning candidate. BJP has every reasons to be elated with its performance but so should Congress that managed to present a united front across these states. In fact, not one Congress leader indulged in cross voting which should make newly elected party president Rahul Gandhi proud. Not so long ago, Congress legislators were considered first to fall in BJP's trap whenever such situation arose with Gujarat being a perfect example of it. The Grand Old Party put up a solid display considering it won three of the four seats in Karnataka and one seat in Jharkhand largely because of its regional partners in the state. Full of suspense and charges of horse trading, elections in Jharkhand led to both BJP and Congress winning one seat each. Here too, BJP decided to field an extra candidate despite having no wherewithal to ensure his victory. In the house of 80, BJP's Samir Oraon secured 27 votes while Congress' Dhiraj Sahu managed to secure a berth for the Upper House. With a total tally of 43 legislators, BJP forced the elections after it named a second candidate despite being aware of 27 votes needed to win one seat. Congress with six MLAs was banking on support of JMM (18), JVM (2) and support of independents and other regional parties. Like other states, elections in Jharkhand were not bereft of charges of horsetrading and it gathered steam after JVM MLA Prakash Ram cast his vote and did not show it to the party's polling agent. Thereafter, JVM president Babulal Marandi expelled Ram from the party for six years and asked EC to not count his vote. Results from Karnataka too must have given Congress enough reasons to smile considering the party won three of the four seats that went to polls. In Karnataka, Congress turned the tables after it managed to secure votes of some JD(S) MLAs and independents that led to victory of its third candidate. The party had the numbers to win two seats but backroom negotiations with JD (S) legislators led to seven of them voting in favour of Congress. In fact, JD (S) even boycotted the polls claiming electoral malpractices which led to two votes being deemed invalid and two being rejected. After counting, Congress's Dr L Hanumanthaiah, Dr Syed Naseer Hussain and GC Chandrasekhar and BJP's Rajeev Chandrashekar were declared winners amidst delay in counting of votes. Meanwhile, the results from West Bengal were on expected lines as the Trinamool Congress went on to win four of the five seats on offer while ensuring victory for Congress' Abhishek Manu Singhvi for the remaining seat. Each candidate in the state needed 50 votes to secure a seat in the upper house. While Trinamool polled 200 votes for its four candidates, it was left with 13 extra votes which were transferred to Singhvi who needed six more votes to win. Congress has 44 legislators in the state. In Chhatisgarh, 49-year-old Saroj Pandey secured a Rajya Sabha berth after she polled 51 votes while Congress candidate Lekhram Sahu managed only 36 votes. To win, a candidate needed 46 votes and since BJP has 49 members in the 90-member assembly, her victory was a foregone conclusion. Interestingly, 51 MLAs voted in fovaor of Pandey including that of an independent and BSP legislator. Meanwhile, the ruling Telangana Rashtra Samithi went on to win all three seats from the state with B Prakash, J Santosh Kumar and AB Lingaiah Yadav being elected to the Upper House. In Kerala, Janata Dal leader MP Veerendra Kumar won with 89 votes while his opponent and Congress' D Babu Prasad managed only 40 votes. Overall, both Congress and BJP will take positives from these elections. While BJP has been able to exact revenge of its recent defeats in UP, Congress managed to punch above its weight and managed to win two more seats than it expected. For the Congress, Friday's results offer them hope in Karnataka whioch goes to polls later this year, while new alliances in Jharkhand will certainly give boost to its efforts of creating a united opposition against BJP in 2019. As far as the Rajya Sabha is concerned, BJP is now the largest party in the Upper House though still short of the majority mark. Winning 28 of the 59 seats will give a huge boost to the party which recently suffered a major setback after TDP walked out of the NDA with six of its MPs. Despite these results, BJP would still find it increasingly difficult to carry out its legislative agenda in the House.